1 Comments Published by Terrace Crawford on 4/29/11 at 4:37 AM. The life of ministry is always challenging. Sometimes we get stuck in the land between. Jeff Manion wrote the book "The Land Between"
Challenges and periods of chaos I call "seasons of the land between"
The land between is fertile ground for transformational growth. It is also where faith goes to die. Even when you are stuck its your move. God wants to know if we will trust Him. God attempts to transform us from "the people of slavery" to "the people of God." From desert to plenty. The cliche "Time heals all wounds" is not true! Their are choices made in the land between that will effect us for the rest of our lives. I don't have to invite complaints to show up. Complaints move in... and resist eviction. Complaints and trust are incompatible roommates. May you discover that He is at His best when life is at its worst. This post contains my notes from the general session at the Orange Conference. 3 Comments Published by Terrace Crawford on 4/27/11 at 9:04 PM. What you do and who you are is extremely important in the Kingdom of God! How is it this movement continues to spread? He quoted a writing from Emporer Julian, citing "Why do we not observe that is their charity to strangers and their pretended holiness of their lives that have done the most to increase the spread of Christianity." We are stewards of the message of ETERNAL life but we are also stewards of the message of a BETTER life. We think being nice is human nature. What is natural is adultery, lying, stealing, etc. We live in a broken world but God has come to restore the broken. We are to shine spotlights on this. Look at the last line of this scripture (regarding the Fruits) "against such there is no law." What would happen today if the church disappeared? Jesus said that we would be known by our "love." Adrian Rogers was once questioned on an airline why he was reading the Bible. His reply "The Bible has the solution for sin, sorrow and death." 0 Comments Published by Terrace Crawford on 4/26/11 at 8:02 PM. If you can't make it to the Orange Conference don't worry... we've got you covered! 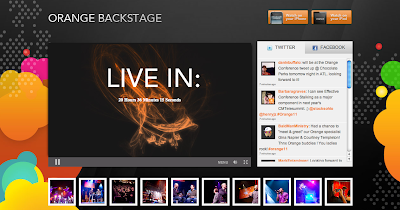 The backstage site just launched. 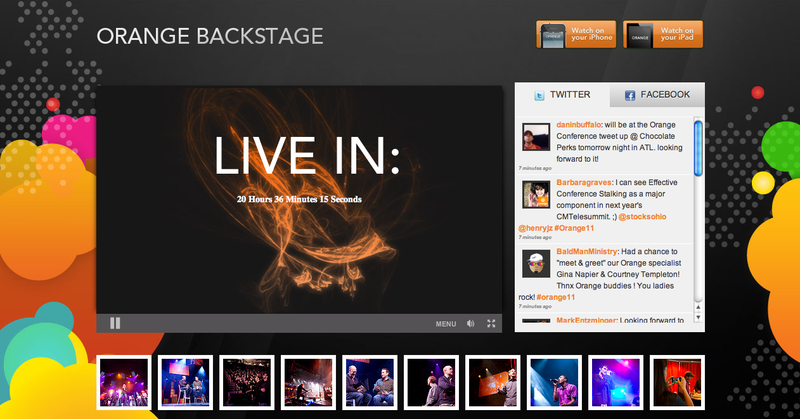 You can follow the LIVE stream [here]. I'll be LIVE blogging throughout the conference, so I encourage you to subscribe to my feed. I also encourage you to check out these notable bloggers that will be covering the experience as it happens as well. 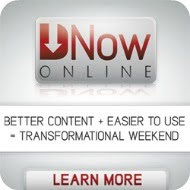 0 Comments Published by Terrace Crawford on at 1:22 PM. Eric Whitacre had a brilliant idea after receiving an email from a student who sent him a video of herself performing one of his signature songs. What if he put out a request for others to do this? And what if he could create a virtual choir made up of 100 people from around the nation singing the same song from the comfort of their own homes? What happened next was amazing. Over 2,500 people responded to his request ... from over 58 countries! 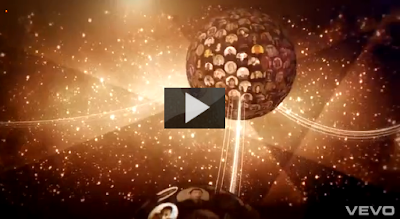 I give you Eric Whitacre's VIRTUAL CHOIR performing "Sleep." 4 Comments Published by Terrace Crawford on 4/21/11 at 1:21 PM. Do you feel like your ministry is becoming irrelevant to teenagers? Are you looking for creative ways to get out of "that rut." Maybe I can help. 1. Get Connected to Teens: I've speak to a number of youth pastors each and every week. I'm always asking them questions about their ministry and how they do what they do. I'm very surprised by the number of them that seem to be disconnected from teens throughout the week. I believe one of the things that could cause you to become irrelevant to teens is by being disconnected from them. If you only talk to them on Sunday you need to make a change. I encourage you to get in their world. Show up on their turf! Action item: Meet with a couple of students each week. Be intentional about getting connected to your students. Grab a cup of coffee, meet them for ice cream, or have lunch with them at school. 2. Reinvent Your Events: Another thing I've noticed in my conversations with youth ministers is how they seem to duplicate the same things every year in their ministry. The same camp, the same missions project, and the same events. Why is this? I understand we want some things to become a tradition, or we feel that certain events will create momentum... but there are too many things available to us as leaders for us to be repeating everything we did last year. Just because it worked last year doesn't mean it will work next year. Action item: Spend a day (or even a half a day) evaluating what events you are passionate about. Then determine which ones you could scrap and allow for new adventures or projects. 3. Ask Questions! When I'm around students I am always asking questions. Often getting a response from them is like pulling teeth... but I don't give up. I ask questions like "What music do you enjoy?" "What do you and your friends like to do?" "What do you really like about what we do?" Sometimes their responses give me great insight into determining how we should shape our ministry. Don't be afraid to ask questions... and prepare yourself for their honesty! Action item: Determine a few questions that you'd like to ask students. 4. Think Outside the Box: Making some changes or tweaking things just a bit can make things really interesting. For example: we have a number of students who love to longboard. They will often bring them to church and ride before and after our services. 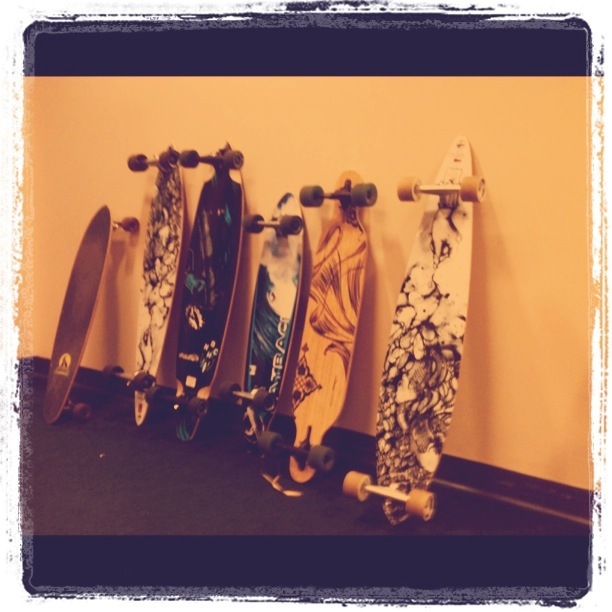 One day I decided to tell our Student Leadership Team to promote a "Bring Your Longboard to Church Day." We had a lot of guests show up with longboard in hand that day! Things like this has helped us think outside the box about what we are doing in order to be more effective... and yes, more relevant to teens. Action item: Try anything once. Don't be afraid to tweak something just for test purposes. Then debrief it with your leadership team and determine if you should try it again. 5. Let Teens Takeover: We have students leading in a lot of different areas in our ministry, but last fall when I felt the Lord leading me to step away from the mic and allow teens to completely takeover I was skeptical. I took a few days and prayed over this idea. Then, in January, we began a series called "STORY" and let students, who were already greeting and leading games and worship, take the mic too! Teenagers were encouraged to tell their stories of how God had worked in their lives. 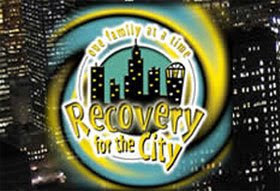 God used this in many ways: It became our longest running series ever (3 months! ), students invited their friends, and God used it to create a safe community where teens are comfortable sharing. 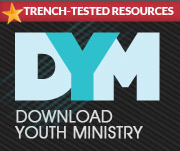 Action item: Evaluate your ministry and question what areas you might give up control to youth. 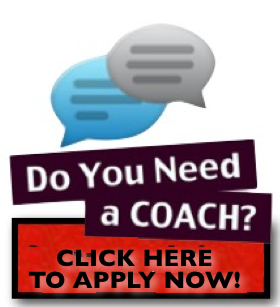 Then provide coaching to students who take you up on the offer and want to lead. 1 Comments Published by Terrace Crawford on 4/18/11 at 2:28 PM. 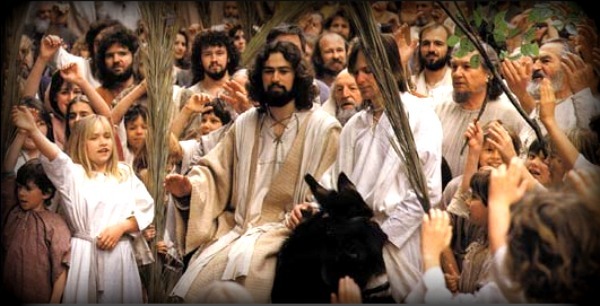 Hosanna in Hebrew means "Please save us!" The crowd of people that gathered to greet this Jesus on Sunday was quite possibly the same crowd that gathered at the Cross on Friday. How is it that these people went from praising to cursing in a matter of a few days? On Sunday the people prayed a prayer when they cried "Hosanna!" (Lord, Please save us!). Then on Friday, while they were shouting "Crucify! ", he was answering their prayer from Sunday. He was saving them. 1 Comments Published by Terrace Crawford on 4/11/11 at 9:30 PM. Welcome to the blog. Picking up lots of new readers recently. It's been a rough few days. A friend lost her baby and was 3 weeks shy of delivery. I don't understand these things... but I've learned to just trust. The pollen is in full effect here. Allergies are killing me. Enjoyed spending time at the Boys & Girls club on Friday with kids. I picked up a copy of Producer, a book written by one of the producers of Larry King Live. Can't wait to read. I've been watching American Idol. Lots of incredible talent this season. I've noticed that the judges aren't giving any criticisms. #Fact: I do not like Dr. Pepper. Looking forward to live blogging the Orange Conference the last week of April. Hope to see you in the ATL. Took a student out to eat wings tonight for his birthday. Good times. When I met this girl a few years ago I nearly proposed marriage. It's too late now. Glad the Government didn't shut down. I have an issue with that whole thing. How would you feel if they called you "non-essential?" Then again, I'm a youth pastor. I can relate. I've been the non-essential guy. Perhaps you have too. Stopped in Borders tonight for a few minutes. Every book was $1.99. Store closing. I wish every book costed $1.99. For a few moments I was in heaven. My friend, Doug Fields, is putting on a leadership conference for students that you should really check out. 5 Comments Published by Terrace Crawford on 4/9/11 at 1:06 PM. As a Youth Pastor I have spent the last few weeks inundated with people quoting the outrageous lyrics to Rebecca Black’s now infamous song ‘Friday’ and all the talk about her has me thinking about just how powerful our words are in the lives of the people we serve and lead. Is Rebecca Black the most talented young singer out there? I would hazard to say not really, but her family encouraged her by spending thousands of dollars to have this song released and my concern in that is that they seem to have thrown her to the wolves by doing so. Youth pastors in general are quite adept at affirming students and leaders for what they have done and recognizing God given gifting’s that they clearly have. My thought process has come to questioning if sometimes we are just being “Nice Christians” and could potentially be leading our sheep to the wolves by being too “nice”. A few years ago I met a young man who we will call Mike and he was a volunteer in our youth ministry. Mike was attending Bible school, and planning to become a youth pastor. The problem was that he didn’t really like to minister to students, and also had a very difficult time preaching and communicating due to a severe speech impediment. What Mike did have was an influential Pastor in his life who was affirming not only what he preached, but was (in an over the top way) affirming how he said it and encouraged him as Mike explored pursuing full time ministry. These were words that would change this Mike’s direction; his finances, his schooling and will likely lead him down a path of disappointment and failure. Was this a case of someone speaking truth, and telling him to go into Ministry or was it a careless affirmation from someone just trying to be nice? 1. Choose your words wisely- Did students come up and share their testimony and stumble through the whole thing? Tell a joke no one understood? In the past my first instinct would be to tell them, “Great job up there, thanks for sharing. You did an awesome job.” The reality is, they didn’t do a great job of speaking and if I am not careful, that is what they are going to hear. What I should say to them is how I really loved what they said, and that it was great to have them share, affirming the “what” not the “how”. Part of being a Youth Pastor means that sometimes we need to pump-up our students tires from time to time, but lying to them is the last thing we should do. Students need to be encouraged with truth; anything else is careless and and potentially deceiving. 2. Recognize your power- Youth Pastors, we are have incredible amount of power when we speak to students and your support, care and encouragement carries as much traction as anyone in their lives. Its staggering when you realize the power your voice carries in their life, and if we are not careful, our voice can become louder than any other especially the voice of God’s spirit. We are spiritual leaders and when we affirm something in a person, they can perceive that as recognition of gifting or of potential calling. If what you are seeing is legitimate, tell them and often! But if you are just trying to be nice, don’t bother because there is a potential that you could steer that person away from the calling that God has put on their lives. We have the power to point them to God or distract them from Him. Over the past months I have become increasingly aware of what my words actually mean, and that I need to understand how a student will interpret what I am telling them. I love affirming and encouraging our students, to see them grow in confidence as you tell them of something God has so clearly gifted them in. I am also abundantly aware of how potentially misleading and damaging a well-meaning comment can be. I have seen first hand how those careless affirmations can have severe consequences for the people we are simply trying to encourage. Geoff Stewart is the Pastor of Jr & Sr High School for Journey Student Ministries at Peace Portal Alliance Church and contributes to Youth Ministry blogs and ChurchLeaders.com, among other sites. Be sure to check out his Twitter stream for more daily insights. Want to get in on the fun and write up a guest post yourself? Email me. 0 Comments Published by Terrace Crawford on 4/8/11 at 7:48 AM. I was able to get my hands on a sneak peak of the new edition of Group Magazine coming out soon that focuses on those who have been terminated from their positions in Youth Ministry. There are so many youth workers out of work and hurting. I'm very stoked about this particular issue of the magazine and pray it offers some help to those who need it right now. Get your hands on Group Magazine [here] Subscribe TODAY! **If you tweet about this post you may win a FREE subscription to the magazine (for one full year). I'll pick one lucky tweeter after 6:00PM EST today. 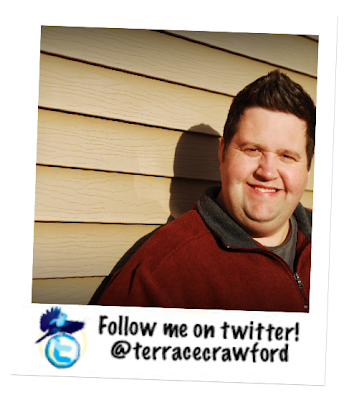 *You must include a LINK to this post and my twitter name (@terracecrawford) in your tweet in order to qualify. 12 Comments Published by Terrace Crawford on 4/4/11 at 11:59 AM. You might say the hardest part of ministry is just getting students to show up. I'd say it is more difficult to try and figure out WHY students aren't showing up. 1. Everything is predictable: We live in a world that is constantly changing. It's moving at such a fast pace. Old things are being replaced with new things and what worked 10 years ago doesn't work any longer. Church leaders don't seem to get this. We move at a slower pace, aren't apt to change, or still take stock in last year's offerings. The truth is, we've become boring and predictable... and teens lose interest quick. Action item: Take as much time each week to think through the environment you are creating as you do on the message or program itself. 2. No welcome mat: Teens typically want to know "who" is going to be present before they attend an event or program, right? Now think about the student who doesn't know anyone. Are you doing everything to make them feel welcome? If your leaders don't take time to learn someone's name and give attention to the attender they won't be an attender for long. Sometimes we spend to much time talking "at" teens (from the stage) and not enough time talking "with" teens. Let's face it, no one likes to be ignored. Action item: Learn 3 to 5 names this week (whether current students or guests). 3. Dislike! I visited a church one time and the pastor literally said to me "If I weren't the pastor I would leave this event." Sometimes we don't have to say anything because our face or body language communicate that we dislike our own programs. If we don't get excited about our own event we can't expect students to magically feel the same way. Action item: Focus a little extra time this week planning the one or two elements of your program you most enjoy. Chances are the additional investment in these elements will excite you. 4. No challenge: I'll never forget a student saying to me a long time ago "I don't need (or want) to be entertained at youth group. I want to be challenged." Even though you might argue that most teens don't feel this way I'd respectfully disagree. Students want to "enjoy" youth group but they want to be challenged. I think we are ministering to a generation of students who want to live out a radical faith... and if we don't challenge them to do so through our conversations or teaching they will be more likely to find it elsewhere. Action item: Don't challenge students to do something you aren't doing yourself. You must accept the challenge first! 5. The problem isn't you: Youth pastors get blamed for many things. Sometimes we put the blame on ourselves. Over the years I've probably been hardest on myself when I thought a student stopped showing up because of me. We must realize that in many cases the problem isn't us to begin with. Sometimes teenagers don't show up because of circumstances outside of our control. I'll offer 3 possibilities here: the student is involved in extra curricular activities and cannot come, they cannot get a ride to church, or my personal favorite, the kid is grounded from church! Action item: Continue to reach out to teenagers who aren't regularly attending. Students need to know you care about them regardless of whether or not they are present for your program. 0 Comments Published by Terrace Crawford on at 11:29 AM. 2 Comments Published by Terrace Crawford on 4/2/11 at 12:01 PM. I get asked to critique blogs all the time. While I don't consider myself an expert... I certainly enjoy the work I do and know what has worked for me. If that makes me an expert, I'll take the title. 1. Pick a theme: What do you think my primary colors are for my blog? Take a look. I've got 3 primary colors running on my blog. This is something that people notice. Your colors and theme should be consistent on your site. 2. Customize it: Branding yourself is important. 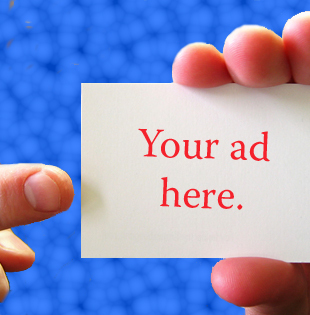 One way to do this is by customizing your site in simple, yet slick ways. I started doing this by just customizing my header. Make sure people know WHO they are reading. I visited a blog yesterday and it took me 7 clicks (count 'em - 1, 2, 3, 4, 5, 6, 7) clicks to find out WHO was the author\contributer to the blog. 3. Go BIG: If you have 14 different fonts on your blog that's 13 too many. Try to stick with one primary font. Additionally, if you want readers to find your blog easier to read just increase the font size a bit. The font size on my blog use to be so small. Then I learned that people really like larger fonts! Go big or go home. Wait... that doesn't work here. Or does it? 4. Keep it simple: Keep your blog posts short. Don't clutter your site. Use readable fonts. Run with a stripped down layout. These are things that make your blog simple... and simple is best. Recently a well-known leader asked me about my blog. He said of the blogs he reads he likes mine the best. I quickly asked "why?!" (especially after he named off the blogs in his reader). He replied "your blog is simple." 5. Make it slick: My favorite blogs to read are those who mix it up a little. I do this on my blog also. Often you'll read a text post, sometimes you'll view a video, and occasionally you'll see pictures or slick graphics on my blog. Whatever you do... just make sure its organized... and visually appealing. Feel free to mix things up... just remember that slick is the keyword. Make it simple and slick!